It’s an ironic fact that most people feel they need to get in shape in order to join a gym. There is this sense that all the “good looking people” are the ones who are working out. The truth is that everyone with the right motivation goes to the gym. Tall, short, thin, fat, ripped or flabby: they’re all represented. Of course, feeling like you won’t fit into the gym is probably the reason why you bought yourself some home exercise equipment like a treadmill or stationary bike. Two things could have happened: 1) You got into terrific shape and shed a bunch of pounds or 2) that treadmill became a clothes hanger. Either way, you’re in a perfect position to join a gym. If you’re in decent shape than good, keep it up. If you looking for that right motivation than a gym membership could be just the ticket. Joining a local Denver gym means you’re paying for the privilege of utilizing a variety of equipment. You won’t be stuck with that single piece in your basement or garage that has been boring you. Instead, you can switch it up every time you go into the gym to try a new workout device that will help with the cardio and target different muscle groups. Then there are all the classes you can join which are not only a lot of fun but also give you the perfect opportunity to make new friends. For those who are especially motivated you can even find a trainer to put you through your paces. Then there will be no excuse not to get into shape! There are some folks who like to provide extra motivation for getting into shape by tacking pictures of models with awesome bodies on the fridge. While it is true that you might not achieve that kind of perfect unless you devote hours a day in the gym, looking at those flat abs and tone arms could be all you need to resist temptation. 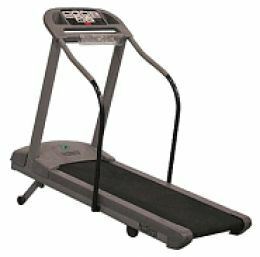 Another motivating factor could be found if you get rid of that old treadmill or other exercise equipment. Why have a constant reminder of failure? Instead toss out that equipment and put that space to better use. If you’ve get rid of the treadmill in your basement you could put in a decent easy chair and create a reading corner. Move it out of the garage and you’ve got room for your car. All you need is a little help and that can be found with Junk King Denver. They are the expert movers who will be able to get rid of those heavy objects with little effort on your part. They’ve got the muscle and the truck space to get the done. All you have to do is make the call to Junk King Denver. This entry was posted in Denver Appliance Disposal, Denver Junk Hauling, Denver Junk Removal, old treadmill disposal and tagged Denver Junk Removal, Denver Treadmill Disposal, Denver Treadmill Removal on February 27, 2013 by Paul Durant. Last updated August 1, 2017 . There was a time when looking for a prospective home to buy meant either circling through the classifieds or circling through neighborhoods in search of “for sale” signs. Now the real estate market has gone high tech and Denver realtors are staying ahead of the curve. Most prospective buyers will begin their search for a new home online. That means making sure those resources are kept up to date. A savvy realtor will also be plugged into the active social media network to keep his clients apprised of new listings. Over at the Re/Max Denver office they’ve just re-launched their website portal which can now be accessed across many different platforms such as tablets and Smartphones. The site also has better research capabilities that allow a customer to specific the exact details of the kind of home they are looking for which will help narrow the search. Naturally, there is still the good old fashion “hustle” that a realtor has to go through to secure a listing and make it ready for viewing to clients. Although there are signs that the real estate market is starting to build a comeback in terms of pricing and new home construction, there are still plenty of foreclosed homes on that market that need to be positioned to sell. The perfect real estate partner for this endeavor would be Junk King Denver. These are the Denver based junk removal specialists who will have no trouble clearing out a property from the inside out. Too often the previous occupants of a foreclosed property has lost all respect for that property and don’t care how they leave it or what they leave behind. At first glance these abandoned properties could look uninhabitable. But in many respects you’re really just looking at cosmetic fixes like clearing out garbage, furniture and appliances. That’s where Junk King comes into play. The typical Junk King Denver crew consists of at least two capable movers and a truck big enough to haul away whatever will be collected. For bigger jobs additional crew members might be dispatched for the cleanup. Best of all there won’t be any additional labor costs. All you’ll be paying for is the volume of junk on the back of the truck. That assessment is made in coordination with a Junk King supervisor. Once you agree on that rate, it’s locked in and won’t change with any surprise fees. Because Junk King works fast, you could zero in on a property on a Monday morning, have it cleaned out on Tuesday and ready to show by the weekend. Let Junk King Denver be your foreclosure and real estate cleanup partner. This entry was posted in Denver foreclosures, Denver Junk Recycling, Denver Junk Removal, Denver Real Esate, Junk King Denver and tagged Denver Foreclosure Clean Up, Denver Hauling, Denver Real Esate, Denver Trash Out, REO Trash Outs on February 19, 2013 by Paul Durant. Last updated August 1, 2017 .